Next Generation Sequencing (NGS) technologies are allowing scientists to sequence DNA faster and expand knowledge of the genetic basis of disease. NGS is showing particular promise in areas where current diagnostic methods have shortcomings – such as HIV and TB – although there is some way to go before data can be interpreted meaningfully by doctors. There is a lot of activity going on in the development of sequencing technologies. Over the past decade, suppliers have reduced equipment costs as they vie for a greater share of the market, to the extent that NGS platforms are nearing the $1,000-per-genome goal. Illumina became the first company to receive US Food and Drug Administration (FDA) class II approval for a sequencing system for clinical diagnostics in November 2013 and also received clearance for its Cystic Fibrosis assay products based on this technology. Then, in September this year, Thermo Fisher Scientific listed its Next Generation Sequencing (NGS) system with the FDA for clinical use as a class II medical device. So what benefits can NGS bring? When perfected, affordable NGS platforms with rapid turnaround times will offer significant advantages over quantitative polymerase chain reaction (qPCR) in genotyping. Unlike PCR methods, NGS has the potential to identify all the variants in a single experiment since it allows parallel sequencing and facilitates multiple gene analyses. Automation can make it less laborious and cheaper than Sanger sequencing, which is seen as the current gold standard. Labs can benefit from lower reagent costs, save instrument time and help physicians to make faster treatment decisions with affordable NGS tools. NGS products will impact the genetic disorders and infectious diseases segments initially. Adoption of NGS assays in preference to qPCR could happen faster in clinical microbiology, where the pathogen sequencing platforms are almost comparable now in terms of speed and cost. New NGS platforms are emerging, which are capable of completing typical bacterial genome sequencing quickly and cheaply. Automated platforms to interpret newly sequenced genomes are being introduced, which is crucial to make NGS viable, saving labour costs in data interpretation. In terms of capital investments for instruments, competition among the big players is reducing costs significantly and various strategies are being adopted, with different systems available for different volume users. Many small companies with single products are also active in the field, introducing innovative and affordable instruments. One example is a nanopore-based sequencing device of the size of a USB memory stick, with an average read length of 5,000 base pairs. Companies are also focusing on better accuracy through larger read lengths, which could be significant for over 10 per cent of the NGS market. The short read length platforms employed for single-nucleotide polymorphism (SNP) detection would be useless for detecting gene variations that include large sequence deletions or insertions. However, in spite of impressive advances, NGS is not expected to replace current genotypic and phenotypic methods, since most of them meet clinical lab requirements. Huge technical challenges exist but, as these are overcome, PCR assays could be overtaken in certain disease segments. The arrival of PCR in the 1980s revolutionised the clinical diagnostics field. The new capability to produce sufficient copies of target genes made laboratory tests faster and more accurate. During the restructuring period which followed, labs replaced genomic DNA with PCR-amplified DNA. The allele-specific detection assays soon evolved as high-throughput systems, enabling large-scale analysis of patient samples. Now PCR assays are some of the most common molecular diagnostic tools in these labs. Our recent research has estimated that medical diagnostics accounts for about 43 per cent of the global demand for PCR technologies. Considering the market trends in clinical diagnostics and various alternative technology segments, we have forecast growth at 8 per cent CAGR between 2013 and 2018. However, advances in the NGS field in the past few months suggest that the impact of NGS on PCR demand may be felt sooner. The main issue with PCR assays is the need for additional confirmatory tests, which means treatment delays and added costs. For instance, PCR as a standalone tool is insufficient in genetic disorder diagnosis. Current practice is to follow up PCR tests with Sanger sequencing – particularly where rare genetic disorders are suspected. Serious gaps exist in PCR-based infectious disease diagnosis as well. A typical example is the diagnosis of multidrug resistant TB (MDR-TB). Though antibiotic susceptibility detection through PCR is achievable theoretically, few PCR assays are available for routine clinical use. Multiple strains with varying antibiotic susceptibility could be responsible for TB infection in a single patient. Hence, pinpointing resistance to all antibiotics at once is highly desirable. In a clinical lab, having to run multiple tests to confirm susceptibility to each antibiotic can be costly, or even fatal. False positives can be a concern too. Another drawback is the extensive time needed for designing and optimising PCR assays. Balancing PCR product size and efficiency is challenging as efficiency decreases with number of repeats. Identification and validation of critical biomarkers related to a particular disease or infection are complicated processes. Additionally, running so many PCR reactions to test each biomarker is not a viable option. Disease areas where NGS will be adopted fast include HIV and TB diagnosis. Conventional phenotypic TB tests delay effective treatments due to the slow growing nature of the mycobacterium tuberculosis complex (MTBC). PCR assays contributed significantly in TB diagnostics by speeding up the diagnosis time and enabling fast differentiation of MTB from non-tuberculosis mycobacteria. Quick and accurate determination of antibiotic susceptibility of the MDR-TB strains, however, has not been achieved through PCR yet. Potentially, NGS assays enabling detection of resistance to all antibiotics at once can be more effective than PCR assays in this context. NGS-based whole genome sequencing of pathogens has evolved, making translation to clinical labs possible, and could make their entry into clinical labs soon. HIV is another area where NGS assays can fill gaps. For example, viral tropism studies to determine the mechanism of the virus to enter host cells is crucial in determining the antiviral therapy suitable for an HIV patient. Frequent monitoring during the treatment period is necessary to diagnose resistance emergence. This can be achieved fast with NGS platforms. Companies are racing against each other to tap the opportunities, particularly in the fields where qPCR has not been highly effective. At present a critical component missing in the conversion of sequencing data into clinically useful interpretations is the absence of fully automated systems with updated databases, which can assist doctors’ treatment decisions. Hence, large scale switching to NGS is unlikely in the near term. Until then, PCR assays will continue their current dominance. Quah Shun Ying is a research analyst at AcuBiz Consulting and Syamala Ariyanchira PhD is principal consultant at AcuBiz Consulting. They can be contacted by email: info@acubiz.com.co or phone: +6012 351 8258. 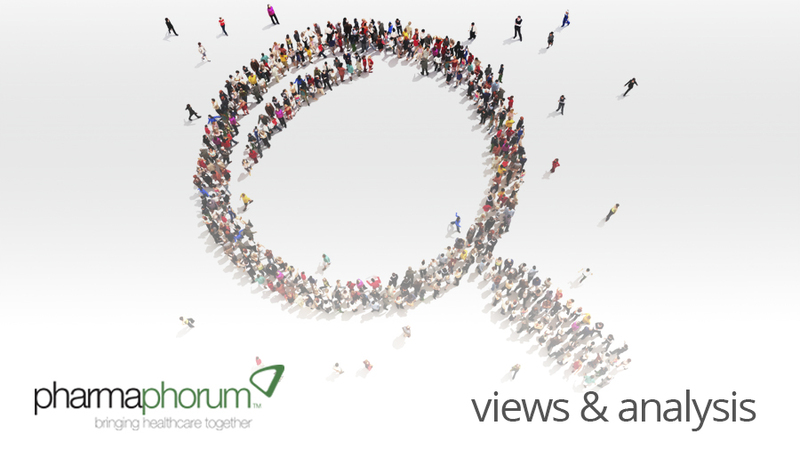 Have your say: To what extent will NGS technologies revolutionise clinical practice?